Tanks. There’s a bunch to choose from, but every now and then you try one that simply blows you mind, and this is exactly what happened when I was lucky enough to happen upon a UWELL Crown tank at my local vape shop last year. 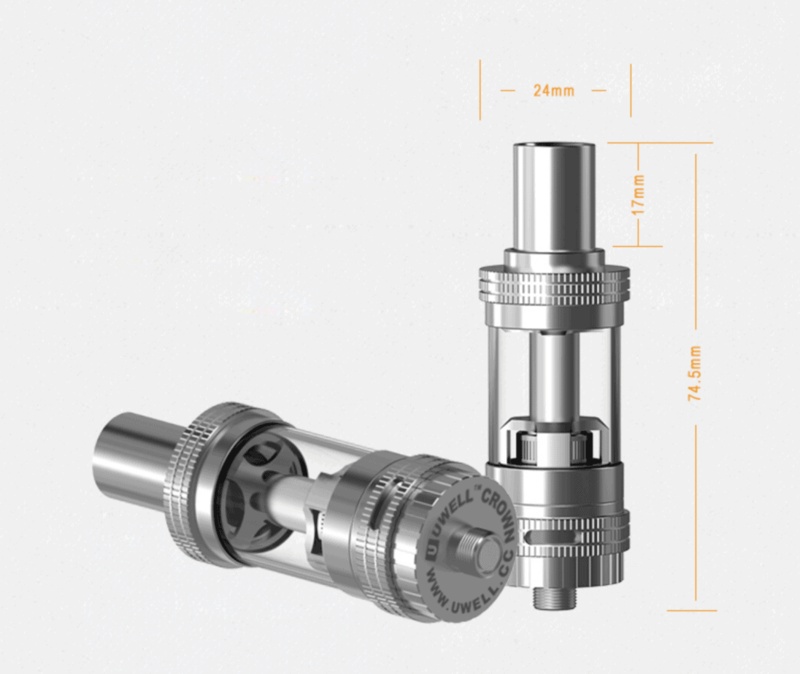 I’ve outlined my thoughts in detail inside VB’s UWELL CROWN Review, so if you’re interested in finding out more details about the tank, how it performs and what it is capable of you might want to check that out first. This article is designed to highlight just a few of the UWELL Crown’s attributes as well as bring it to the attention of vapers who might not have heard of it. Basically, this thing ROCKS and if you’re serious about your vaping you should almost certainly have one of these tanks laying around you home. It’s also worth noting that the UWELL Crown 2 is now official and should be available online and in vape shops the globe over very soon. I’ve already pre-ordered my UWELL Crown 2. And if you want to make sure you aren’t left hanging you might want to do the same. UWELL also released the UWELL Rafale in 2016 but it was slightly inferior to the Crown. The tank was decent, but it just didn’t match the performance and vaping quality of the Crown — but then again, not many tanks do these days. In fact, I’d go as far as saying the UWELL Crown is still a great option in 2016, regardless of the UWELL Crown 2. Sure the successor model will be better, but if you’re just after a solid vaping experience you cannot go wrong with the Crown. Below are 8 quick points on why I think the UWELL CROWN is the best damn vape tank around at the moment. Good tanks usually cost a bunch. 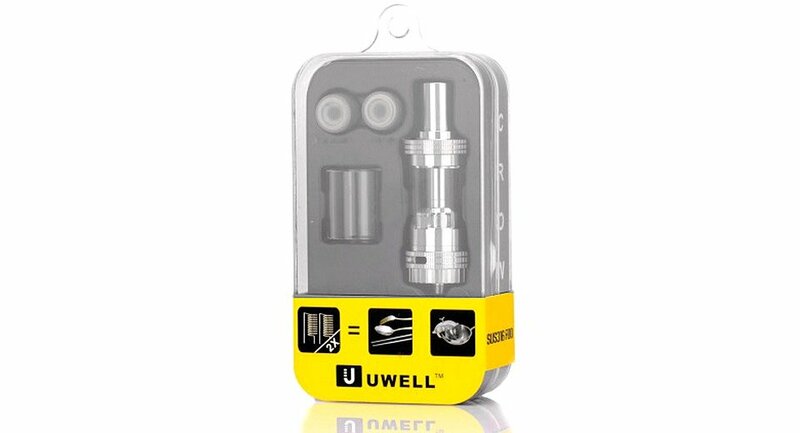 But the UWELL Crown is very cheap — I got mine for $28.95. And while the RRP might be low the look, feel and design of the UWELL Crown is anything but; this thing is as premium-looking at the Aspire TRITON and performs just as well (if not better). UWELL’s coils — yep, they make their own — are made from US316 food grade stainless steel, as apposed to Kanthal for the express purpose of flavour and taste, and believe me you will seriously notice the difference. But this isn’t even the best part. Nope — the best part is UWELL’s coils last around a month before you need to change them. If you’re coming from a Kanger or Aspire set-up this is frankly insane; like suddenly being able to do 1000KM in an electric car from a single charge. This means you save a TON of $$$ on coils as a four pack costs the same as standard coils but lasts around five times as long. Tanks are pretty uniform in the way the look and the UWELL Crown is no exception in this respect — it looks very much like a tank and is similar in proportion and fair to the Aspire Atlantis 2. Still, there is a ton of detail and precision engineering present on the UWELL that really just makes it POP. Basically, what I am saying is this thing looks like it should cost A LOT more than it does. And no where is this more evident than with the UWELL Crown’s packaging. Inside you get a spare glass chamber, rare these days, and a couple of additional coils (one 0.25ohms, the other 0.5ohms). Set-up is incredibly simple, though you’ll want to prime the coils for a good 30 minutes in order to get the maximum flavour — this is important, so take heed. My Sigelei recently packed up and has forced me back onto an older, less powerful box-mod. Usually this wouldn’t be a problem, but because it doesn’t get above 30W I cannot use my beloved UWELL Tank anymore and have had to dust off my Aspire Atlantis 2, as it is the only tank I have appropriate coils for. Been hitting it hard n’ high most of the time these days. Once I booted the Atlantis 2 up there were two things I noticed immediately: 1) the flavour production is NO WAY near as good as it is with the UWELL Crown, and 2) it doesn’t draw as good, either. And that is pretty significant, considering the UWELL was actually cheaper than the Aspire Atlantis 2. Again — I really cannot say enough good things about the UWELL Crown. As you might have guessed by now, I am pretty much in love with it. Switching back to the Atlantis 2, a tank I used as my daily driver for AGES, felt like stepping out of a BMW M-Series into a Prius. 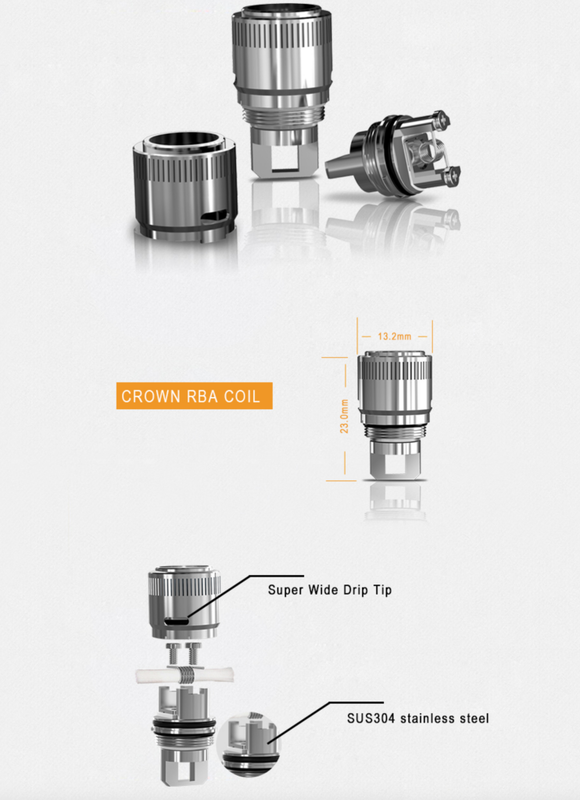 Oh yeah, the UWELL Crown is also completely RBA-friendly, meaning you can tinker with it until your heart’s content. Having said that, you will have to buy an RBA coil separately as one is not included inside the pack. This isn’t a deal breaker for me, as I don’t tend to do that much RBA-ing. Plus, UWELL’s coils are well priced and, as noted earlier, LAST FOREVER. This might sound trivial but one of my favourite things about the UWELL Crown is that it lets you refill from the top of the tank, as well as the bottom. Why all tanks don’t support this simple, yet amazing feature is beyond me. Refilling from the top is so much more convenient, especially when you’re on the move. You can also Buy the UWELL CROWN right now via Direct Vapor with free shipping on ALL orders regardless of price.